Richard Fogel, MD, President of the Heart Rhythm Society (HRS), finally released HRS's current stance in the debate on the American Board of Medical Specialties' (ABMS) Maintenance of Certification (MOC) program that has pitted one quarter of US practicing physicians against the American Board of Internal Medicine (ABIM) and its Foundation. As a member of the Heart Rhythm Society, I sent Dr. Fogel links to my work on the ABIM in a relatively lengthy email some time ago. As a result, I am sure Dr. Fogel is fully aware of the financial dealings that have transpired with the ABIM and its Foundation prior to writing his press release. From Dr. Fogel's announcement, it appears the Heart Rhythm Society is carefully choosing its words so as not to seem too adversarial to the ABIM by recommending (1) the removal of the requirement of being dual-MOC certified in BOTH cardiology and cardiac electrophysiology, (2) permanently ridding electrophysiologists of having to perform the busy-work of "practice improvement modules" and (3) "continuing the discussion" at a later time. 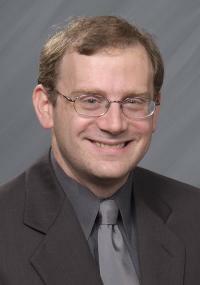 While Dr. Fogel's statement is pleasant and forthright, those are not exactly fighting words. Dr. Fogel also announced a "debate" on MOC that will take place at the Heart Rhythm Society Scientific Sessions being held in Boston in May of this year. It will be moderated by Mike Gold, MD with Doug Zipes, MD as the pro-MOC advocate and Fred Kusumoto, MD taking the contrary argument. I'm sure the session will be well-attended and, who knows, maybe a few carefully-selected questions will be hand-picked from the audience! But will the "debate" do anything? No. Step back and consider this upcoming HRS "debate" for a moment. Note how one doctor is being pitted against another doctor as though there is a debate between doctors on the value of MOC to our patients. 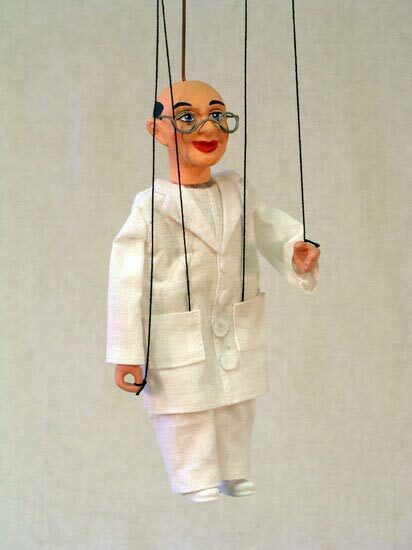 The whole scenario is like physician puppets on a string having their message crafted by some ABMS/ABIM puppeteer! Is there really a debate that our physician testing fees should be used to purchase $2.3 million condominiums with a chauffeur-driven BMW 7-series town car? Is there really a debate that it's okay for an organization to fail physicians based on an unproven metric after 30 years of clinical practice? Is there really a debate that the evidence base substantiating MOC was written in large part by ABIM members themselves? Given the overall negative sentiment of the majority of electrophysiologists, to pretend there is a 50-50 split in opinion on the subject of MOC is silly. Nothing could be further from the truth. In fact, I'm not sure I've ever seen such consensus by the entire practicing U.S. physician community about the detrimental effects of MOC to our profession no matter what subspecialty or what side of the political divide they hail. There simply is no debate: MOC is a mess. 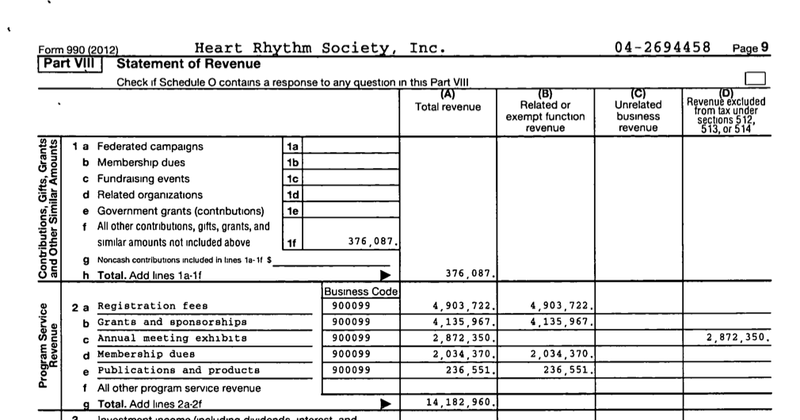 Maybe the real debate at this year's Heart Rhythm Society meeting should be about the $4.9 million in registration fees the organization collects from its members each year for MOC review courses so they can pay their non-physician CEO's salary of $632,522 and Bill Clinton's public relations firm $897,580 to show up at the 2013 Heart Rhythm Society Scientific Sessions in Denver, Colorado. 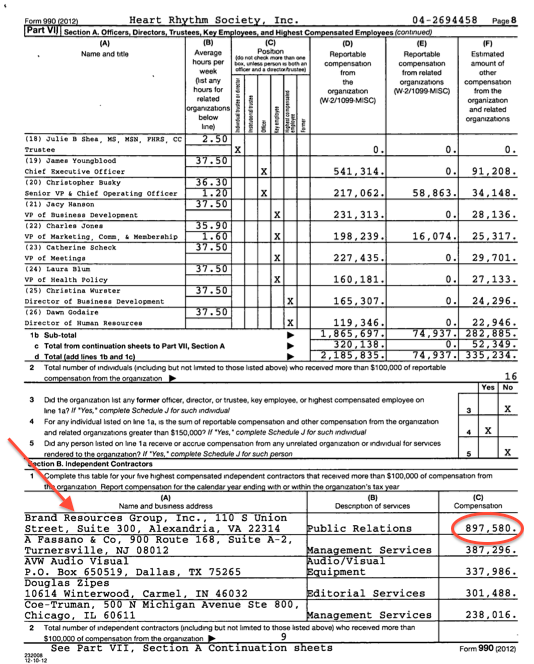 Please note that the ABIM still has not publicly posted their 2014 Form 990 (due Feb 17, 2015). It is clear they want to wait as long as possible to do so. But even with an extension, the form must be filed by May 15, 2015, the day before the 2015 HRS Scientific Sessions end. It's very hard to have a "debate" on MOC when all the facts on the finances of the ABIM remain cloaked in secrecy, too. Physicians should remember that just because the 0.5% incentive payment from Medicare to physicians who participated in the MOC ended 1 Jan 2014, it doesn't mean the coercive practice has gone away. Through their many political supporters, the ABMS made sure that MOC remained a component of the Medicare Physician Quality Reporting System (PQRS) as a part of the Center for Medicare and Medicaid Services (CMS) "Physician Compare" initiative. The majority of US physicians are now employed by hospitals eager to compete for a growing number of newly-insured patients. As such, hospitals are increasingly requiring physicians to participate in MOC as a condition for gaining credentials in their hospital. By even pretending to side with any form of MOC, the Heart Rhythm Society tactically agrees that MOC may continue to coerce money from their own physician consumers for the their benefit and that of ABMS's constituents. Let's be clear: MOC is not a doctor issue, it's a political issue. It is remarkable that the US government is now the only government in the world that officially requires repeated "re-certification" of physicians for them to practice medicine. Thanks to MOC, it is also the only government in the world that acts as imprimatur to an unproven pay-to-play scheme. Doctors are done playing this game. It's time for HRS to stop the faux debating and start aggressively acting on behalf of their membership. The time to end MOC as a faux physician quality measure - all of it - is now. In this new era of Medicine, Social Media, Big Data and the Internet, physicians are heavily scrutinized for their behavior, their use of resources and their performance in contemporary ways. Society vis a vis the Federal Government has imposed austerity measures on physicians and as a group, physicians have tried to work whole heartedly with these demands. I think most physicians understand that we need to change with society and participate meaningfully as stewards of a priceless societal resource. So if physicians are under increasing levels of oversight by multiple agencies and by the public at large, and we agree that such levels of transparency are beneficial for society, why is it that the physician organizations such as ABIM, AMA, HRS, etc are exempt from such transparency? In other words, who is watching our regulatory physician organizations? Is not the recent ABIM debacle a prime example of greed and inappropriate behavior infiltrating a once respected physician organization? Is the source of the funding of the ABIM, essentially private cash from individuals, the mechanism of its secretive, furtive financial behavior and abuses? Perhaps it is time to have society demand that our physician organizations be regulated just like everyone else in healthcare. Perhaps, it is time for individual physicians to stop paying thousands of dollars in annual fees and to have society shoulder this limitless monetary burden paving the way for centralized governmental regulation by Congress and the Department of Justice. 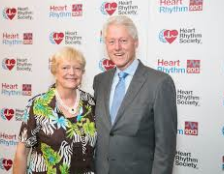 If the ABIM, HRS, AMA were funded by the Federal Government, instead of the rank and file clinician, one would predict that the million dollar salaries, the Mercedes Limo Service, the $800,000 speaking engagement fee to Bill Clinton, the "spousal travel benefit", the inappropriate financial behavior would all evaporate. Louis Brandeis once said that sunshine was the best disinfectant. If we let in the bright white light of transparency and the unblinking eye of Social Media into the dark corners of the ABIM financial ledger, what would we see? Will the exposed data support the notion that the ABIM is financially responsible and appropriate? MOC is not about physician education. It is about the money! The next time you get a request to donate to the ACC PAC; ask yourself what the ACC is lobbying congress to do. The ACC has been most successful linking participation in their registries with credit for MOC and reimbursement carrots. The ACC needs MOC to not only survive but to thrive. The ACC gets to declare victory 'protecting' cardiologists from that pesky MOC by giving them our data that we pay them to collect and the ABMS gets extra money to boot. It is a win/win for the bureaucrats. This scenario is about the same as PAYING Google to share your search history with vendors to target you. The ACC charges hospitals to be in the registry then charges CMS for access to the data from their registry. Do you think that the DOJ used the ACC registries in their investigations? Everyone reading this should ask their hospital administrators how much they pay ACC for the luxury/necessity of being a part of their registry. Are you surprised that CMS requires hospitals and doctors to be part of a registry to get new technology or devices? Who is lobbying for that? The ACC makes money on us coming and going. The doctors are just the monkeys who create the data/datum (whatever). The ACC no longer needs your membership fee since they have developed other machinations to monetize our practice of medicine. In essence, the ACC and ABMS created an artificial problem (physician education/MOC) where none existed then solved the pseudo-problem in a pecuniary fashion favorable to the bureaucrats with their luxury condos and BMW limos. Any money you send to these PACs is to our detriment. This PAC money will be used to lobby congress for more registry/MOC participation. If you want to know who will be investigated, look no further.